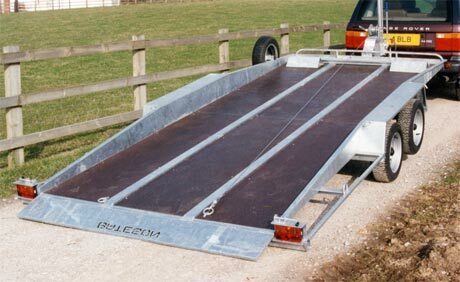 All models have a full floor pannelled with 18mm phenol ply which tilts back hydraulically to provide a low approach angle, enabling vehicles with front spoilers and low ground clearance to be loaded with ease. The range comprises three models, the lightest 22-15 with a capacity of 1560kg, the most popular 27-16 that now has a carrying capacity of 2035kg is suitable for most cars and light commercial vehicles. The largest model 35-16 has a capacity of 2670kg and is suitable for larger 4x4s, plant and machinery. 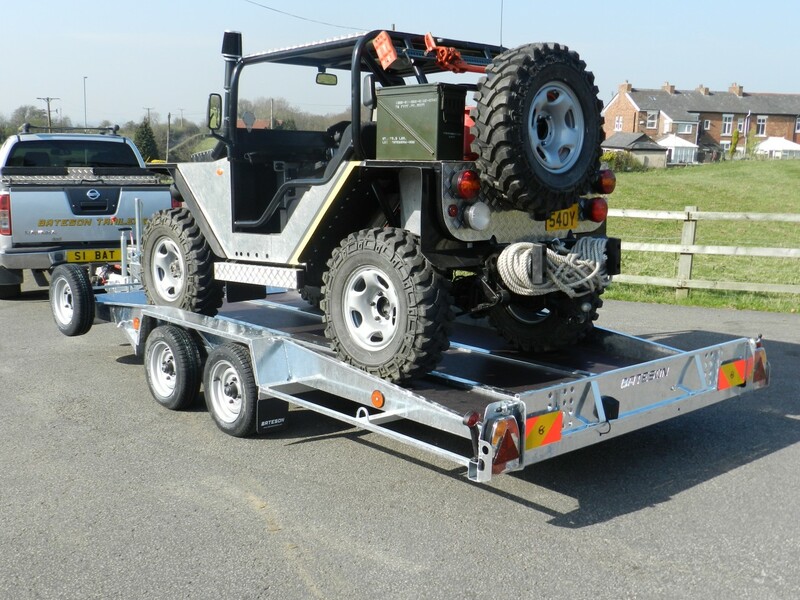 All models are supplied with an adjustable front wheel chock, 12 securing points, a hand winch and a spare wheel.